Who is Nathan Walker of WP Avengers? Recently I received an email from a Nathan Walker of WP Avengers infamy—claiming that he now has 39 WooCommerce extensions available in his store for the holidays, and that the number will continue to grow. I’m on their mailing list because I like to know what’s going on in the WordPress community. Although I’m a developer by profession—and not an investigative journalist—I decided to pretend to be one for the day. I set out to try and find out who this guy really is, why he’s choosing to stay anonymous, and why he’s giving us this bogus name, Nathan Walker. Everyone who knows me knows that I live in public; everything I’ve done has been splashed across pages of the internet since 1996. The 2011 book Public Parts by Jeff Jarvis explains my feelings on this topic pretty well. I believe that the benefits of living in public (professionally, as a developer, and also personally) outweigh the negatives of having people know what’s happening in my personal life. In fact, I think that the negatives in my life are the things that humanize me—they allow people to trust what I tell them. I would not be able to participate in an organization as large or as beneficial as Advanced WordPress if I didn’t believe in promoting my public persona. The lack of a public persona is one of the things that puts a bad taste in my mouth about WP Avengers. I mean, why hide if you believe in what you are doing? Don’t get me wrong, there are some instances where anonymity makes sense. For example, the famous GS Elevator Twitter account, in which the creator relies on anonymity for comedic effect. In order to post supposed real life conversations between rich investment bankers inside a Goldman Sachs elevator, anonymity is necessary to achieve the desired effect. And although there are threats of lawsuits pending, whether these conversations are real or not is besides the point. The feed is used for cultural satire, not for financial gain at the expense of others. As I explained in my very first Torque article, I don’t disagree with the free distribution of GPL derivative open source software (aka freely giving away premium open source plugins or add-ons without the threat of a lawsuit, because it’s already open-sourced as a derivative work). I do, however, disagree with profiting from someone else’s open source code financially without bringing any real and tangible benefit to the people you are trying to sell it to. When you fork something, you are creating a new project that will add to the pot. But when you open a store and start selling other people’s work, as is, you are essentially just another gate-keeper, and that is not moving anything forward…doesn’t do any good for any open source project. Investigating WP Avengers: Who’s Behind It? Doing a quick who.is on WPAvengers.com shows that they are using a private registration with GoDaddy.com. Their DNS is pointing to Digital Ocean as the location where the site is being hosted. The domain itself was registered on November 23, 2012 and updated to private—I’m guessing on August 2, 2013. Doing a Google search for Nathan Walker in conjunction with WordPress brings up the original Torque article on WP Avengers and a few unlikely characters. At first, I grew to believe (like many others) that the name as well was a fake. But then I found a Facebook page for WPAvengers and Facebook profile for Nathan Walker, both dating back to December 12, 2012. The personal profile is for Nathan Walker (Nick Wury), which I’m guessing as an homage to Nick Fury from the Marvel comics. You can fake a lot of things on the internet but you can’t fake when you first joined Facebook, or created a page—which is why spammers like to create their accounts as early as possible and wait at least a few months before they start spamming people. The interesting thing about this account is the fact that its creation predates any of the WooCommerce monetary change decisions. This tells me this guy (or gal?) was already planning the launch of a WordPress-related business prior to any of this happening. This idea that WP Avengers was already planning to sell all of their current WooCommerce extensions long before Woo changed their pricing back in August can be visibly proven by taking a look at the WPAvengers.com website using the Internet Archive’s WayBack Machine. As you can see, WP Avengers’ activities date back to April 24, 2012—long before they became a WordPress mystery story. According to the webpage, the individual behind it originally announced the launch of WP Avengers in May 2012, but missed their original deadline. They didn’t change the page until August 2012, when Woo made their announcement. There was also an embedded YouTube video that was removed. As of yet, there is no way to ascertain the video’s origin, yet but I can only guess that it may have existed before the person behind WP Avengers decided to become anonymous. Where is WP Avengers Getting Their Code? The answer to where WP Avengers is getting their code is obvious—they are probably subscribed to all of the 39 extensions WP Avengers is currently publishing. As updates come from the developers, WP Avengers will continue to update them on their own site, so long as they have code access. If you’re a plugin or add-on developer for WooCommerce right now, WP Avengers is probably on your mailing list somewhere (probably not listed as Nathan Walker or Nick Wury, but who knows). There have been some questions as to whether the person behind WP Avengers actually knows how to code or not. This has come up because they don’t seem to have added anything substantial to their current pack of add-ons. It could just be that the person behind WP Avengers has been working overtime on their own plugin instead. I sincerely doubt this person can’t code, seeing as someone with enough balls to do this needs to be at least somewhat familiar with this business. It would be easily deducible if any of the 39 developers WP Avengers is borrowing money from was to somehow attach and obfuscate the current licensed user to each extension download. This is overkill in my opinion, but I’m sure I wasn’t the first one to think about that—and I definitely won’t be the last. If the person behind WP Avengers can code, they’ll be able to catch any of code additions being made to find them. But if they can’t, then it’s a pretty open and shut situation for any developer wanting to call them out. The developer would have to have their real name already, because they (or Woo) would have the credit card information from when the person behind WP Avengers first purchased the add-ons—and trust me, very few people take the time to anonymize that kind of stuff properly. WP Avengers uses Madmimi.com for their email distribution system. It’s a lot like mail-chimp but has an interesting API you can play with. I was able to ascertain that “Nathan Walker” is user 86483 on Madmimi.com but was not able to get any more information than that off of the outgoing API. I can also imagine that very few people own a license to all 39 add-ons, unless they used different accounts to gain access to everything on Woo’s site. So this means that they either had to use one account per add-on, or one account for the whole thing (which would be pretty stupid). I’ve downloaded both his plugin and the modified add-ons hoping I could glean a bit more information, but nothing else has come up so far. The dashboard is exceptionally buggy but it’s in “beta” so I won’t say anything further. This is the internet after all and it’s only a matter of time before someone on Reddit discovers whom he really is and calls him out. I’m not out to get the guy; I just want to know who he really is. Enough of this “Nathan Walker” crap, Mr. WP Avenger… We know you were planning this long before the Woo pricing fiasco, and the benefits of a public persona would outweigh both the threat of lawsuits and having people hate you for a short time (as is explained in Public Parts). You can handle it. If you’re reading this, WP Avenger, then come on out of the proverbial closet. If I was able to find this information with just under an hour of searching then imagine what a motivated add-on developer could do with a little bit more time and a whole lot more motivation! But Why Give This Guy Any More Attention? “Why bring him more attention?” some will ask. “Why not just ignore this guy and not talk about him any further?” Well, here’s why: Any healthy community needs to be able to talk about its ups and downs, its successes and failures. It needs to bring the things that are done in the dark to light, and it needs to have accountability amongst its members. I can bet I wasn’t the only one who received his latest email, and I won’t be the last. Only by talking about it can the community as a whole distinguish between something like the legitimate use of GPL code and what “Nathan Walker” is doing wrong. Until he gives us all his real name he’s nothing more than a charlatan to the community, someone who’s using anonymity for personal financial gain (yes I know he’s giving it away for free until it’s out of beta but he does plan to charge right?) and not for real concerns of protection. He may win over a few cheap followers but he won’t win over the community this way. And in the end he’ll damage the image of Open Source in the eyes of others who are looking to build with WordPress. WP Avengers hosts with Digital Ocean and was registered with Godaddy.com on November 23, 2012. The Facebook Account and Facebook Page were created on December 2012. Both the GoDaddy registration and the Facebook accounts predate any of the WooCommerce pricing nonsense by many months. Internet Archives first cached his site in April 2012 with a YouTube video that was later removed. He can easily be found through code fingerprinting if any upset developer really wanted to call him out. Openness outweighs anonymity in both creating a following and in making users happy. What do you think? Should Nathan Walker out himself? Or will someone else do it for him? Self & School taught C++, Java, PHP, Perl and Ruby Open Source Developer working as a Software Engineer for SPAWAR Research (G2 Software Systems) with a BSCS degree. Started using and developing on WordPress in 2009 and started the AdvancedWP.org community in 2011 which now has over 1,400 members world wide across 3 social networks. 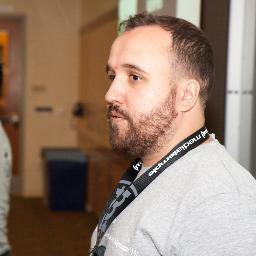 Has spoken at over half a dozen or more WordCamps on a range of advanced topics. Message him on twitter @bastosmichael.